All homes currently listed for sale in the zip code 85233 as of 04/22/2019 are shown below. You can change the search criteria at any time by pressing the 'Change Search' button below. "Lakefront home that is located on the most coveted/primary lot on the water. This Beautiful, Resort-Style Living Home has views from every window. 4200 sq ft, 5 bedrooms and a built-out office with a separate entrance. The 3 car garage has fresh epoxy floors. The master closet is built-out with sophisticated shelving. Most ceilings boast crown molding. You name it - this house offers it!" 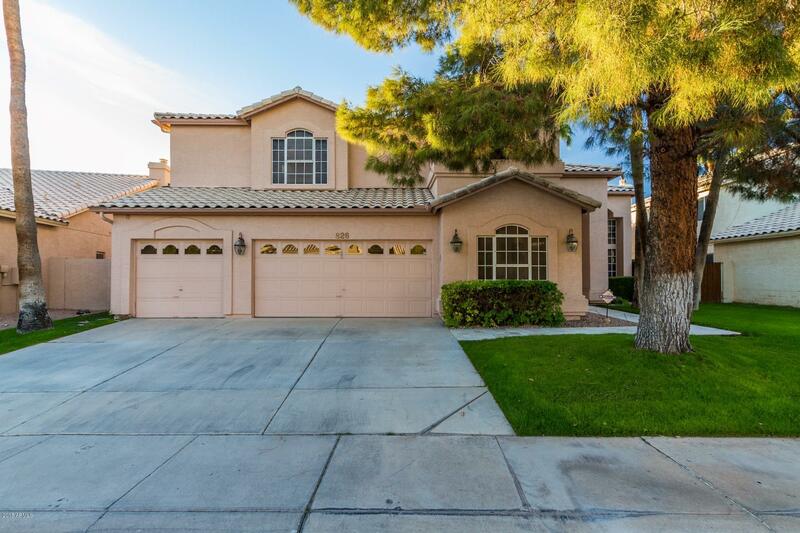 "**MOTIVATED SELLERS** The luxury of this neighborhood speaks for itself. 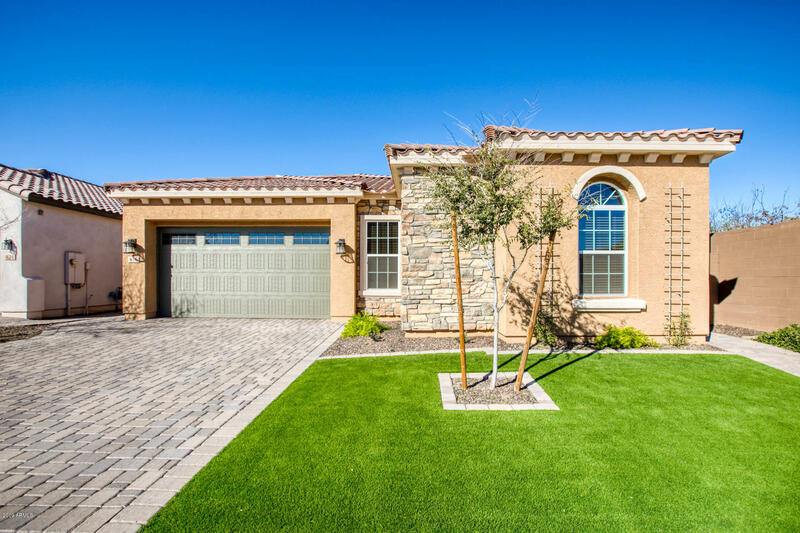 Newer private gated Gilbert Subdivision just East of Cooper and Warner, LOCATION, LOCATION, LOCATION. This huge luxury family home features a dazzling kitchen with massive island, 5th bedroom & full bathroom downstairs. All bedrooms upstairs are en suites. 4 car garage. Luxury HUGE master bath, fresh custom landscaping in backyard with built in BBQ. HURRY before this brand new, energy efficient home is GONE"
"Blending relaxation and sophistication to create the ideal home! 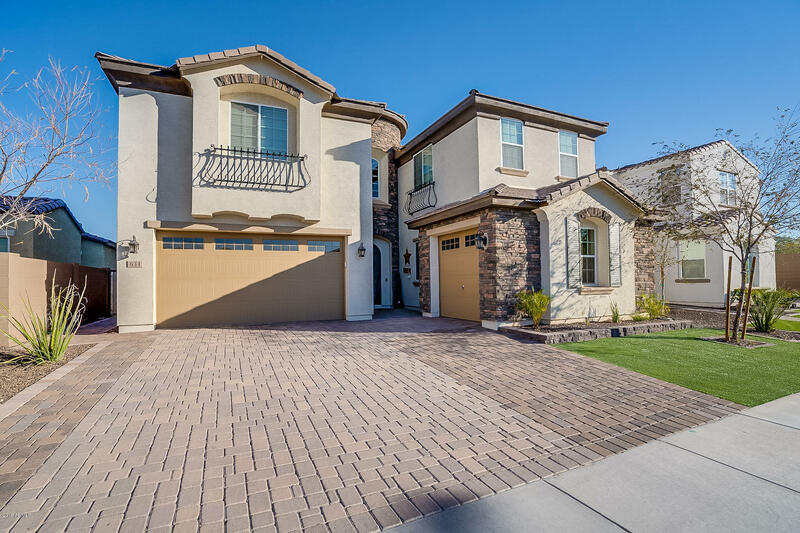 Masterful design and luxury are uniquely embodied in this 5 bedroom 3.5 bath 2 story home with 4032 SF! Travertine walkway leads to the front door, and upon entering your eye catches the sweeping grand staircase ahead and the expansive open floor concept. The incredible island kitchen features dark cabinetry, plant shelving, pantry, white appliances, breakfast bar, and recessed lighting. This home includes its very own movie room, "
"Winner Best Home on Tour! 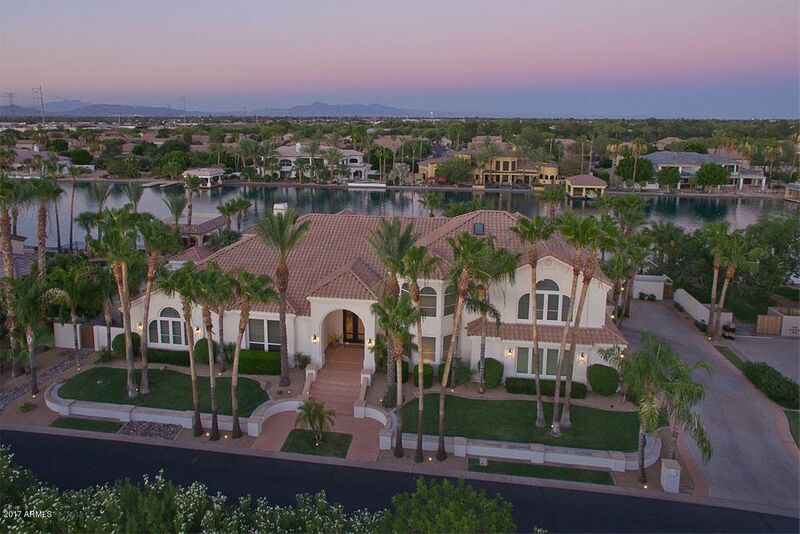 Stunning home in Gilbert's lake community - The Islands. 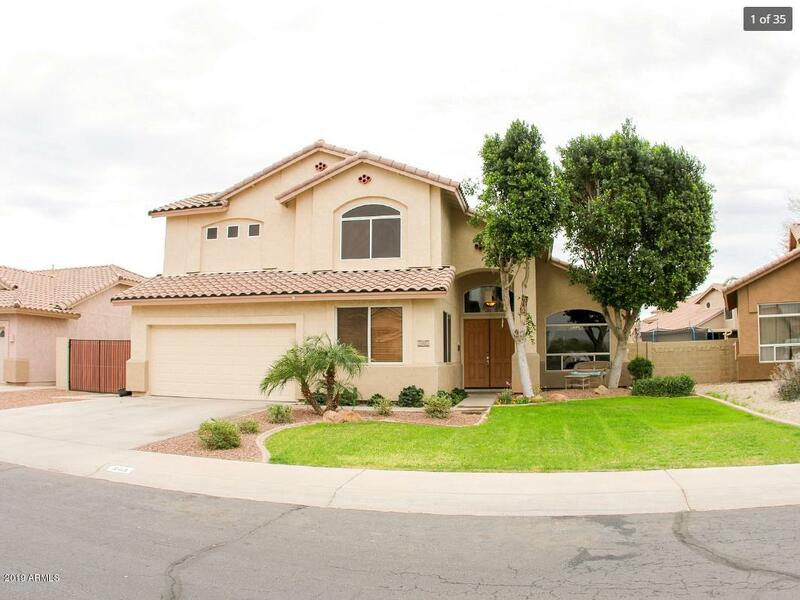 This 5 bed, 3 bath home has been completely updated including roof. You'll love the resort-style backyard overlooking greenbelt w travertine pavers, pebble tec pool, firepit & artificial grass. Formal LR & DR w vaulted ceiling. Remodeled kitchen w GE Monogram appliances. Stacked stone fireplace in FR. Office/5th bed downstairs & full bath, plus huge soundproof media room (or teen room/office). 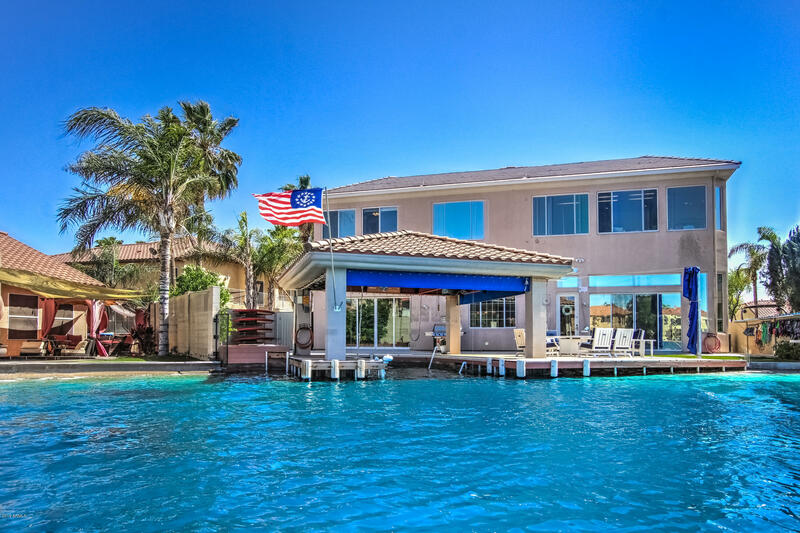 Spacious Ma"
"Beautiful remodel on the water in the Islands! New wood floors greet you as you open the door to the living and dining areas. It then flows into the kitchen & greatroom which overlook the sparkling pool, lake & grassy backyard. The kitchen has stainless appliances & plenty of counter space including a perfect area for a coffee bar! Upstairs is the master with a balcony with views of the lake. The master has a large ensuite bathroom and large walk in closet. The secondary bedrooms are also "
"Exlusive Artemina! Ledgestone front welcomes you to the private courtyard & turret entry! The most desirable floor plan with atrium showing gas fireplace surrounded by 3 sets of arcadia doors! Formal dining room & living room or library! Tile in all traffic areas is in true regional fashion with the ''leather'' look, just gorgeous! Open floor plan with kitchen overlooking large family room & beautiful patio/yard with built in seating area overlooking pebble tec pool! BRAND NEW CARPET MARCH 2019"
"Looking for a new place to call home? 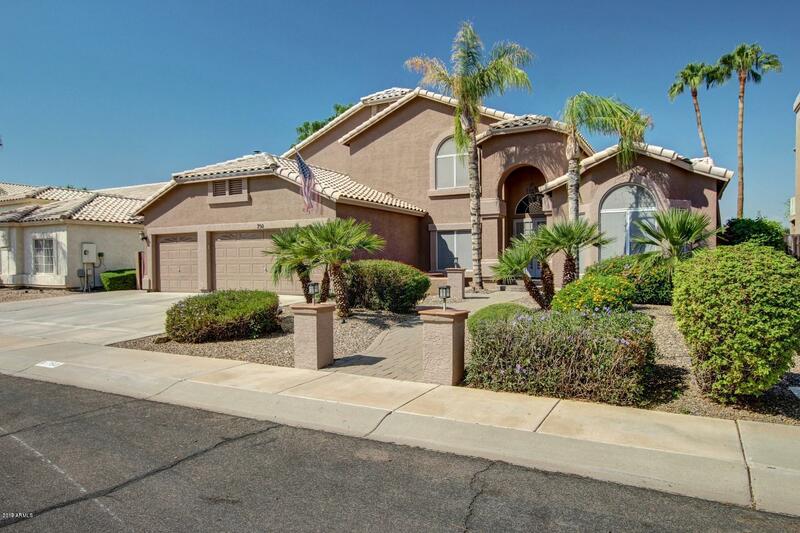 Then this fabulous 3 bed, 2.5 bath waterfront lot property located in Gilbert is just for you! 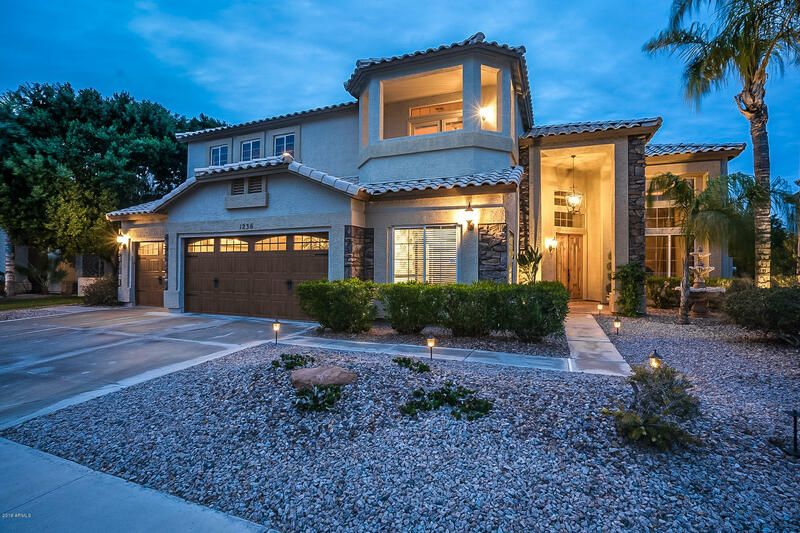 This lavish home boasts desert landscaping, 2 car garage, vaulted ceilings, formal dining and living areas, plantation shutters, neutral paint throughout, and more! The elegant kitchen offers ample cabinetry, a pantry, granite countertops, tile backsplash, matching appliances, and a lovely island with a breakfast bar. Inside the grandiose master bedroom you will fi"
"Location Location Location! 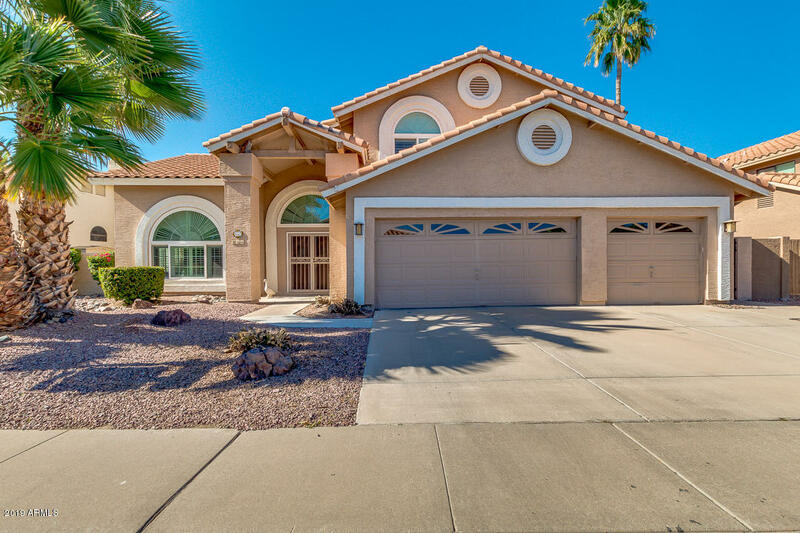 Don't miss out on this 4 bedroom 1 3/4 bath home located on 1.226 acres on a county island in the city of Gilbert. 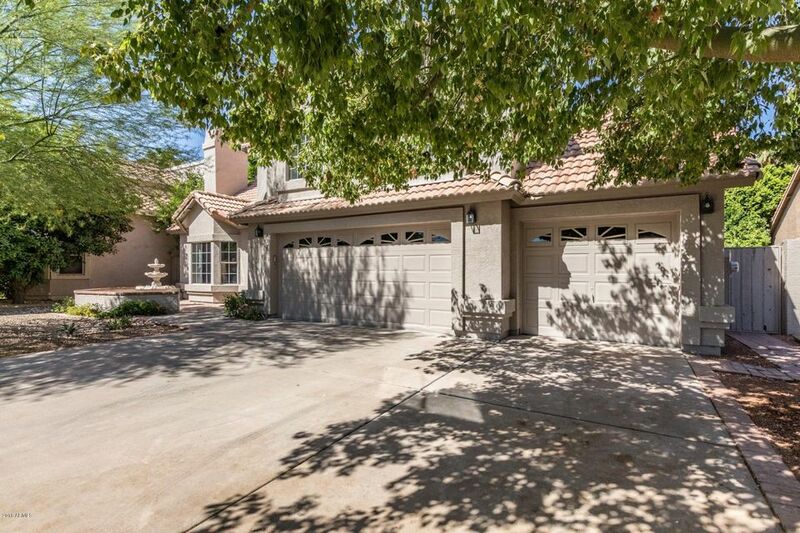 Open floorplan boasts familyroom w/ fireplace, eat in kitchen and breakfast bar. Large master bedroom with spacious walk in closet and private exit to backyard. New carpet, new stainless steel appliances, new septic, new fans & freshly painted inside and out. Bring your boat and rv there's plenty of covered parking in the back and don't forget the worksho"
"Come experience this stunning gem in the heart of Gilbert...a fresh, newer, gated community minutes from Downtown Gilbert, the US60 & Loop 202 freeways, as well as incredible schools, new employment centers and exciting retail & dining. 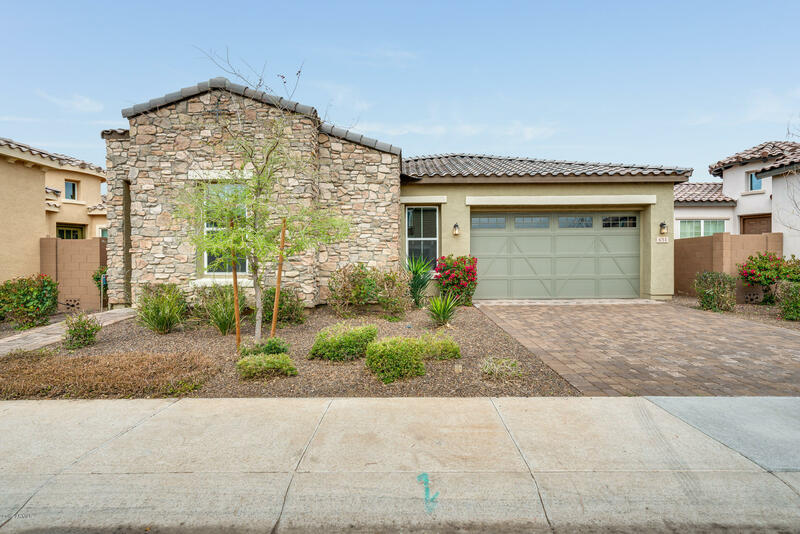 This bright and airy home has private courtyards & shady covered patios, tons of natural light through a wall of sliding glass in the great room, and an innovative floorplan with a loft, as well as a casita that's just perfect for guests, a home office, or your o"
"Gorgeous 3 bedroom plus den, 3 bath, 3 car garage home for sale in small gated community in Gilbert! Awesome upgraded gourmet kitchen with oversize island, beautiful quartz counter tops, custom back splash, beautiful upgraded cabinets, double ovens, gas range, and smart lighting. Master suite offers custom oversize tile shower, free standing pedestal tub, dual vanities with granite counters and walk-in closet. Beautiful wood-look tile throughout all common areas. Carpet in bedrooms. 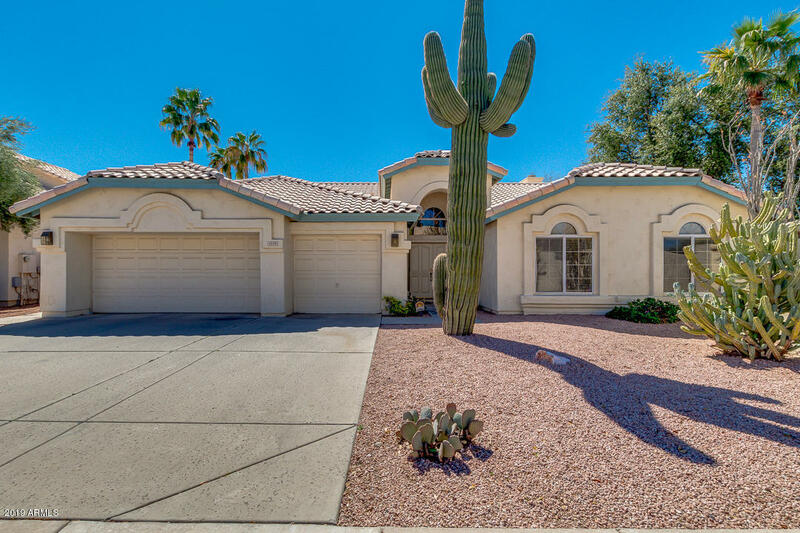 Plantat"
"Remarkable 3 bed, 3 bath home located in Gilbert! You will fall in love with the light wood-like tile throughout the home, enhancing the home one step at a time! The open floor plan allows you to entertain friends and family comfortably. Your modern kitchen has all that you could ever want! An oversized island with beautiful countertops, dark wood cabinets with gorgeous hardware, and stylish backsplash completing the space. The master bath has a large walk-in shower, a soaking tub, and separate "
"Gather your friends and family, the backyard of this spacious home has room for them all! Picnic on the grass or play games in the huge open spaces. Get a bit hot? Jump right into the refreshing pool. Wrap up your fun in the sun with a cookout and dine on the large covered patio - ending the evening with s'mores in the fire-pit where built-in seating awaits! 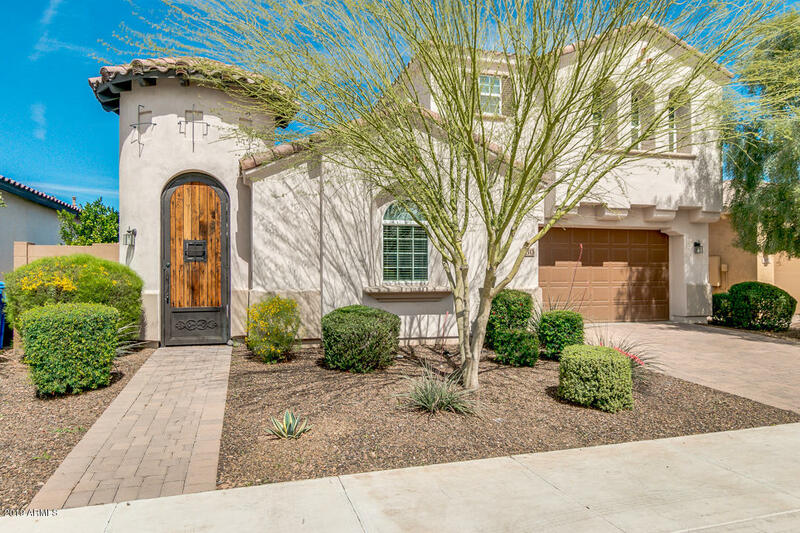 There's more than enough space inside as well - the downstairs bedroom has a full bath nearby while the master bedroom boasts a full flex"
"Stunning Ryland/CalAtlantic home built Nov. 2016 in the premium gated community of White Fence Estates! 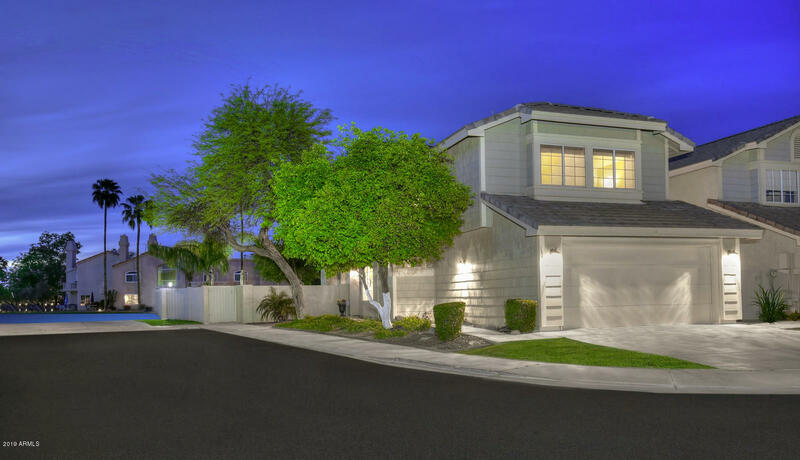 Perfectly located within minutes of downtown Gilbert's restaurants, shops, night life and seasonal events! Four bedrooms, 3 full bathrooms, plus a den! Split floor plan! One of the four bedrooms is an Ensuite perfect as a 2nd master! Upgraded chef kitchen includes granite counter tops, an awesome extended kitchen island, gorgeous custom backsplash, pendant lights, gas range, under cabinet ligh"
"Gorgeous approx. 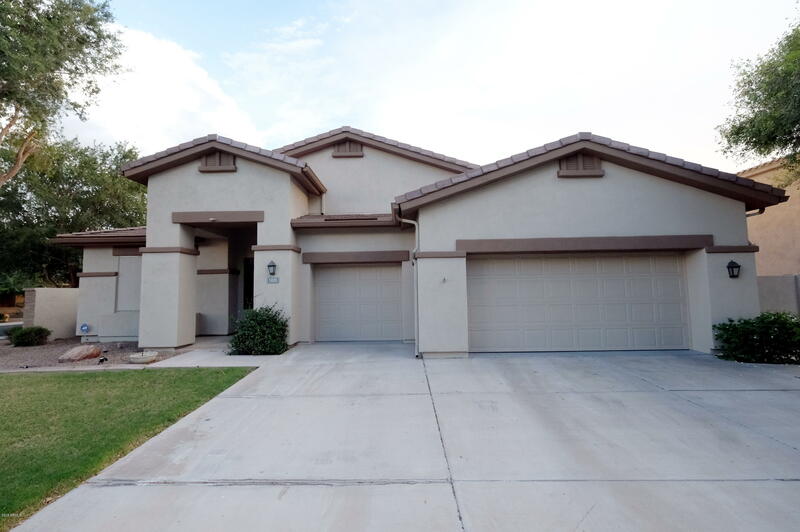 4000 sq ft. 5 bedroom, 3 bath, 3+ car home on the golf course of El Dorado Lakes. Convenient location. 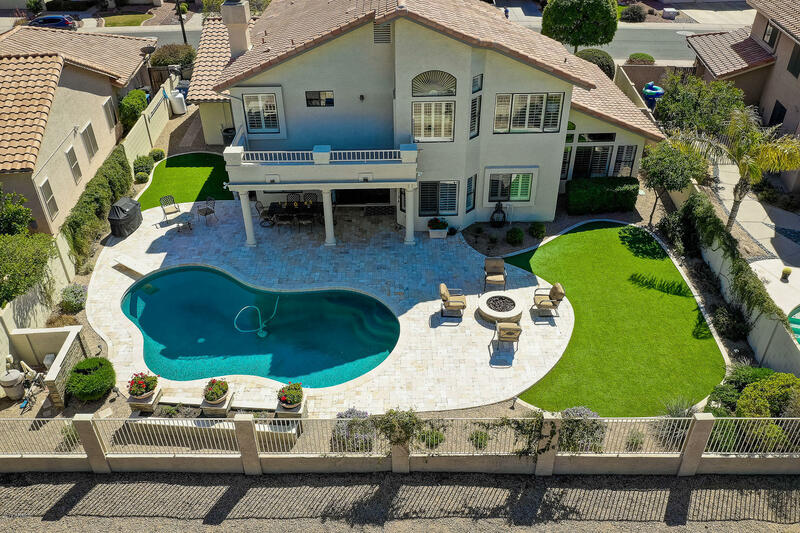 Lush resort back yard w/ view fencing to expansive golf course views. Sparkling play pool w/waterfall. Home is N/S facing, tile roof, wonderful shade trees in front yard. 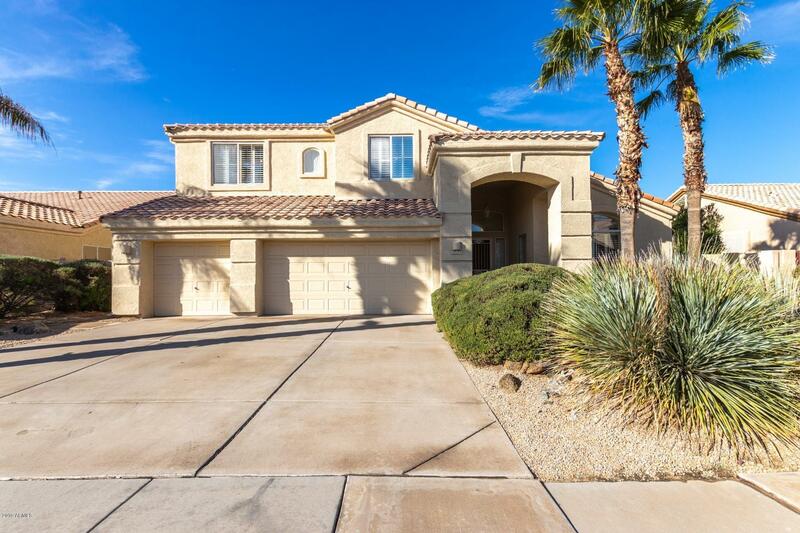 Soaring vaulted ceilings in formal living/dining rooms, great open kitchen w/ Cherry wood cabinets, corian counters, large kitchen island, huge walk in pantry, open to family room. Very large rooms! One b"
"Stunning WATERFRONT property with unbelievable VIEWS nestled in Sandcastle Village! 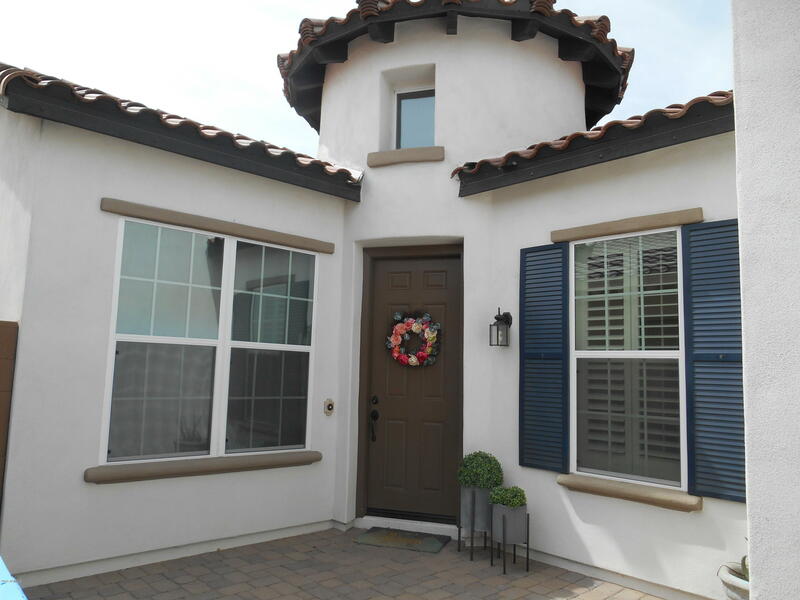 This cozy 3 bedroom, 2.5 bath with a loft/den is full of custom amenities. As you enter the home you're greeted with vaulted ceilings, bamboo floors and an unmatched view of the lake. You will find stainless steel appliances in the kitchen and extra storage throughout the home and garage. 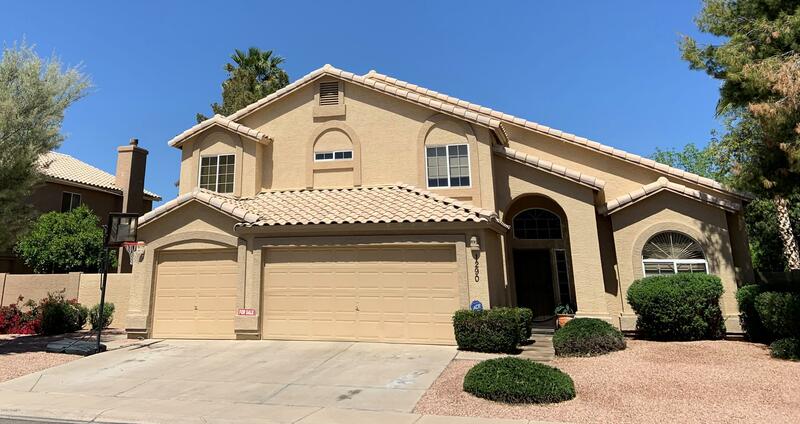 A new water heater was installed March 2019, the new upstairs AC unit installed August 2018, and the roof is warrantied thr"
"This beautifully well maintained two story lake side home with gate access to common area , walking trails and playground is located close to downtown Gilbert restaurants , stores and shopping. Home has recently renovated pool and deck. 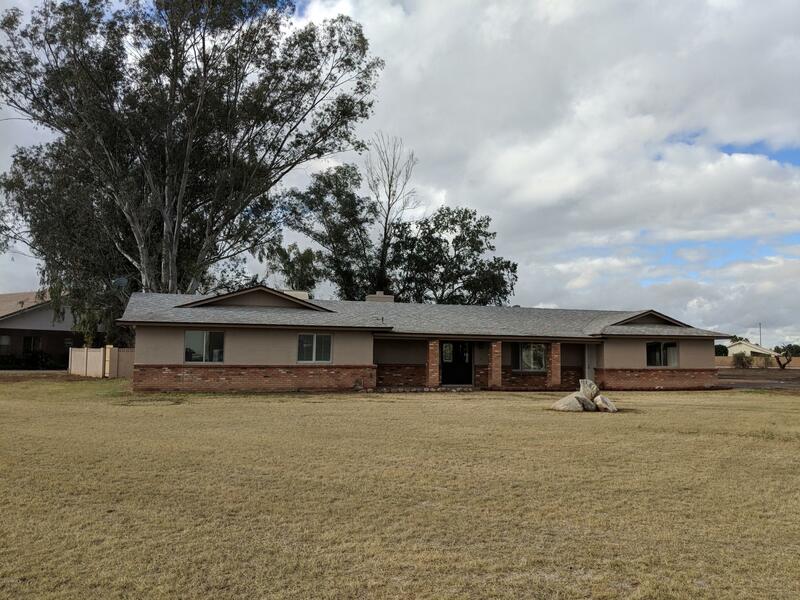 New roof, exterior paint, new A/C, maple cabinets throughout with granite tops and stainless appliances.High vaulted ceilings living and family. Four bedroom split plan, Over sized 3 car garage with side RV gate. Back yard is a virtual oasis looking at lake , vie"
"Beautiful Home nestled in the desirable Neighborhood of CATALINA BAY AT THE ISLANDS. Charming Interior with many amenities. Close to shopping and much more! Buyer to verify all facts and figures." "STUNNING TWO (2) STORY HOME IN THE ISLANDS!! ORIGINAL OWNER!! This home is located in the Exclusive Islands Community. 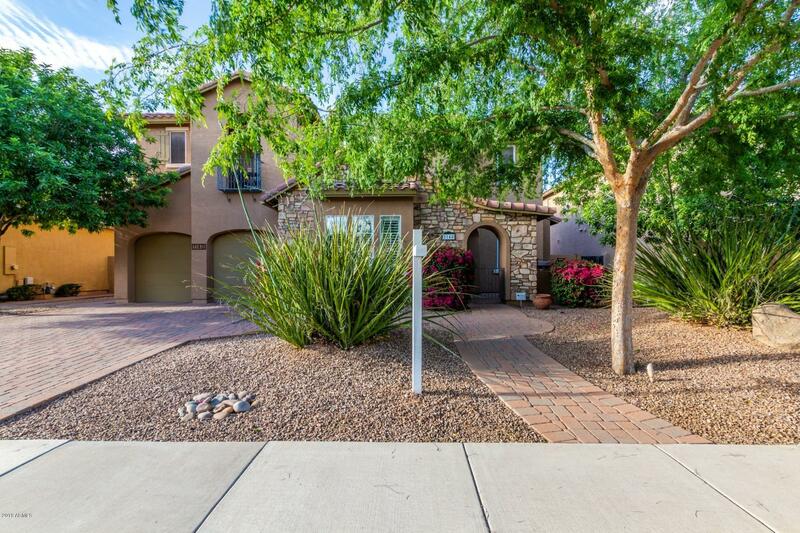 Property offers low maintenance desert front and backyard with mature trees, 3 car garage, and beautiful curb appeal. Double-door entrance leads to an immaculate interior offering 5 bed, 3 full bath, designer paint tones, vaulted ceilings, plantation shutters, wet-bar, beautiful fireplace in spacious living room, and so much natural light that make this home cozy and inviting. " "Gem in El Dorado Lakes Community, Golf course lot. Two bedrooms down stairs. Grand entry with vaulted ceiling at the living room. Upgraded kitchen with granite counter top, kitchen island, pantry and upgraded appliances and instant hot water sink. Over sized family room with golf view, stone fire place, and wet bar. The up stairs master suite connect with siting room has private exit to the deck overlooking the golf course. 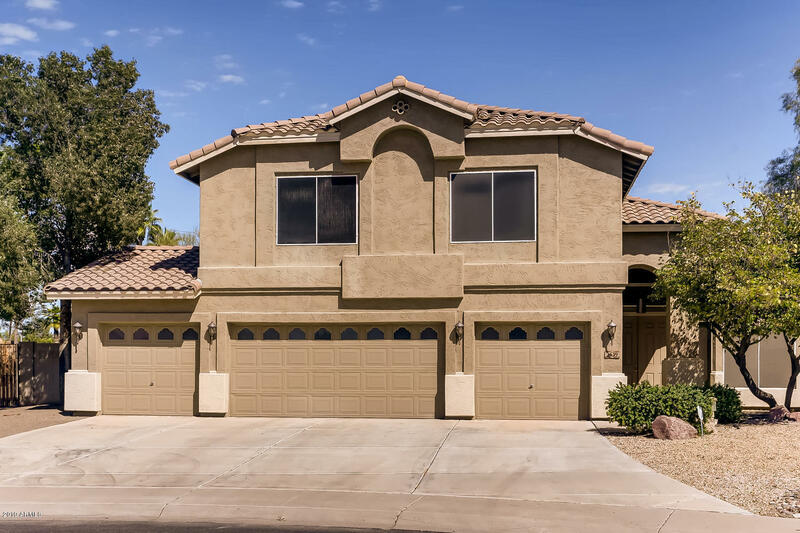 Tastefully upgraded bathrooms with luxury features such as dual sinks"
"Beautiful and spacious home in the heart of Gilbert! Large lot with RV gate, fenced pool, raised garden bed, and lush grass. Interior boasts 4 bedrooms plus a den/office AND a bonus room, granite countertops, bay windows, wood blinds, wood laminate floors, new sun-screens, walk-in pantry, and formal dining area. The spiral staircase leads to the second floor where you'll find the master with an oversized walk-in closet, spacious master bathroom with double sinks and soaking tub, and three additi"
"Gilbert Estates at North Shore -This home features new appliances, fresh neutral paint, soaring vaulted ceilings & an impressive first floor master suite.The huge kitchen opens up to the family room and was functionally designed with pull out shelving in cabinets, kitchen island with breakfast bar and eat-in dining space looking out to the back yard. 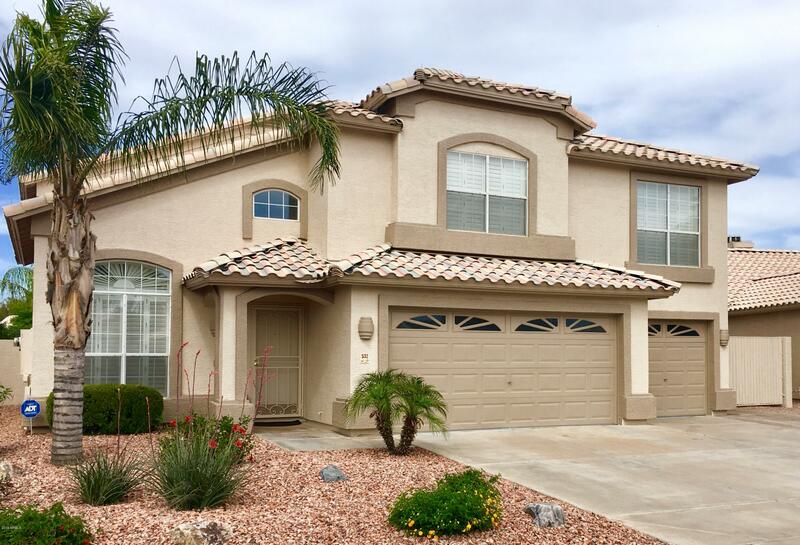 Highly desirable floor plan with formal living, dining, family room and master suite on first floor.The large 2nd floor bonus room/loft overlooks t"